Compatible with ALL Sizes and Models of Apple Watch. On the Top of the apple watch stand covered with velvet scratch free, protect with your apple watch. 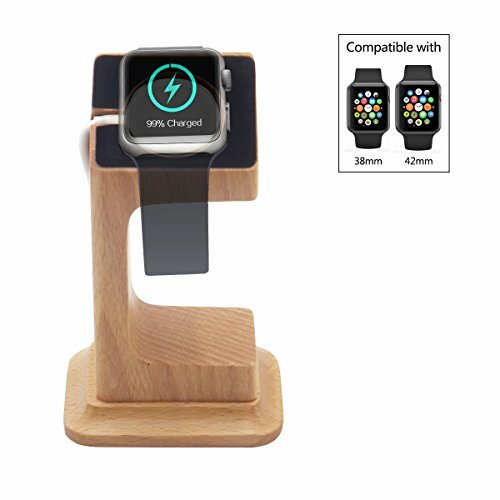 Wood Apple watch charger stand with elevated base keeps stable , avoid sliding or tripping over. Specially design a channel to manage and hide your magnetic Apple iWatch charging cord. (PS, the charging cord is not included in package). If you have any questions about this product by Blue Hole, contact us by completing and submitting the form below. If you are looking for a specif part number, please include it with your message.